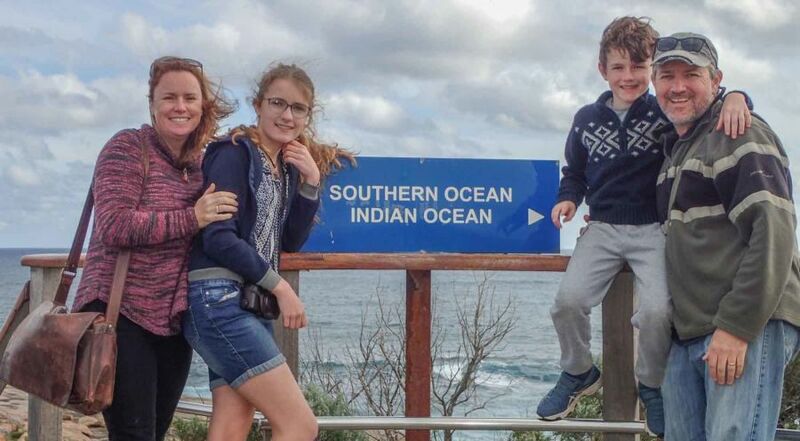 Samantha and Tony Rodgers and their children Erin,13, and Lachlan, 9, are seasoned travellers. Having only recently relocated back to Australia after more than a decade residing in Hong Kong and holidaying internationally, they are now exploring Australia through extensive camping holidays and, most recently, the purchase of a pop-top caravan. So when Samantha had to travel to Perth for a few days of work, they decided to take the whole family and make some memories in the west by renting a campervan. Why Choose A Campervan For A Family Holiday? Although they now have their own caravan, time limitations meant towing it across the country was out of the question for the Rodgers’. But the idea of hiring tents or forking out for hotels and booking in advance didn’t appeal, either. 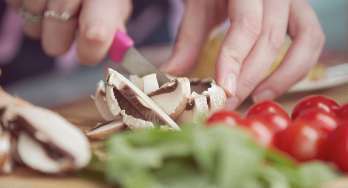 They needed something that satisfied both convenience and cost considerations. The family had hired a Britz campervan in New Zealand last year and loved the experience. So Tony says they did the sums and discovered it was most economical for them to hire a campervan in Western Australia as well. “Although the campervan costs more than car hire, it was still cheaper than staying in hotels with the four of us – family rooms are expensive and quite rare, and you need to book well in advance,” he says. Samantha says renting a campervan was a perfect way to explore a more remote region like Western Australia, and to save money on the road. The family travelled in school holidays in September, but found it was still a great time to go – crowds were nowhere near peak levels seen at Christmas and they only needed to book the first two nights in Busselton, a few hours’ drive from Perth. From there they winged it. “We knew the good thing about renting the campervan was that it allowed us to be self-contained if we needed to,” Tony says. “We stayed in caravan parks but we also knew we could pull over on the side of the road and spend the night if we wanted to. 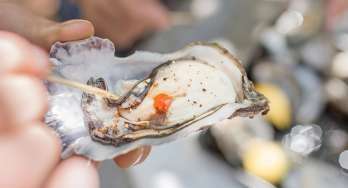 The family chose to venture south to Busselton and the Margaret River region in their vehicle, and then head east inland and then dip down to the coastline again across to Albany and then shoot straight up to Perth. They had recommendations from friends and also did research to find great beaches, natural attractions and quite a few tourist attractions that would interest the kids. Here are some of the highlights from their trip. The family had heard Geographe Bay and Cape Naturaliste were beautiful places to visit, so the first two nights were spent in Busselton. 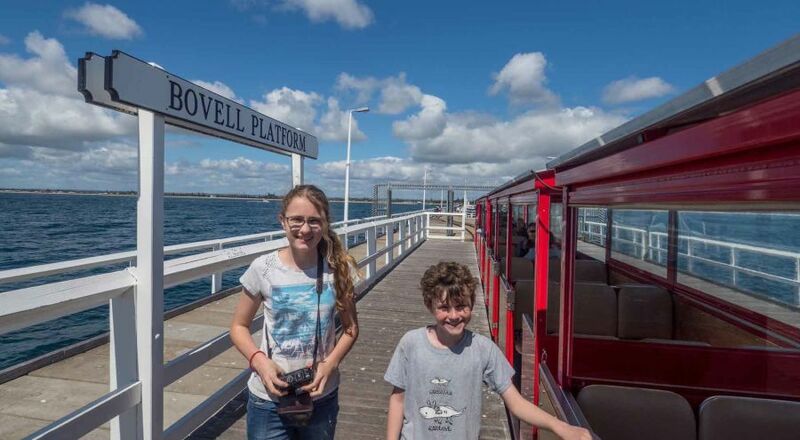 The Busselton Jetty, with its train and natural aquarium, were highlights for the whole family. Apart from the four-hour drive from Perth to Albany, this was the longest trip in the campervan. This was a great spot to explore the Cape Naturaliste area and lighthouse near Dunsborough, and was a great beach community. Another great beachside town where the kids spent a good part of the day. 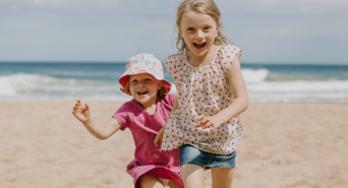 “The kids love the beach, and all the beaches along here had that white sand like you find on Fraser Island, it was really pretty,” says Samantha. They took a brief trip in to Margaret River and visited a chocolaterie but felt it was definitely more of a couples’ wine-touring destination than for younger kids. At Hamelin Bay they (well, Tony anyway!) swam with stingrays which glide right up to you when you tap the water. Highlights include the Cape Leeuwin Lighthouse and expansive Jewel Caves with its family-friendly tours. The famed Dave Evans Bicentennial Tree, a forest fire lookout that has metal rods hammered in to its sides which act as steps, in Warren National Park and stayed in a caravan park populated by thousands of local garden gnomes. They also walked to Beedelup Falls in Greater Beedelup National Park. The family stayed with friends who live in the area, but ventured out to the karri forest to see the Circular Pool water formation on the Frankland River in Walpole-Nornalup NP. 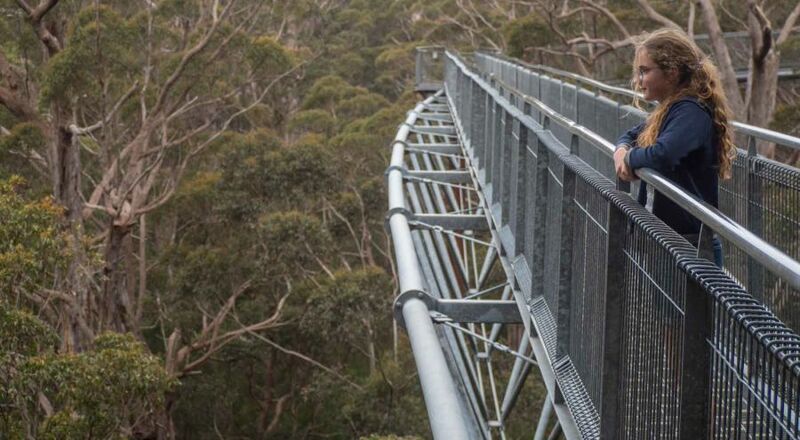 They also ventured out on to the Valley of the Giants Tree Top Walk. Sam and Tony loved Bartholomews Meadery, a different take to the classic wineries of the region. Greens Pool was an extraordinarily beautiful and sheltered beachside highlight. Historic Whaling Station, a once-operational slaughterhouse for whales that is now a museum, was a real highlight. “It showed both sides of the story – why whaling is bad but also had a room with a movie in one of the oil containers which told the story of a guy who works there and how he dealt with losing his job,” says Erin. 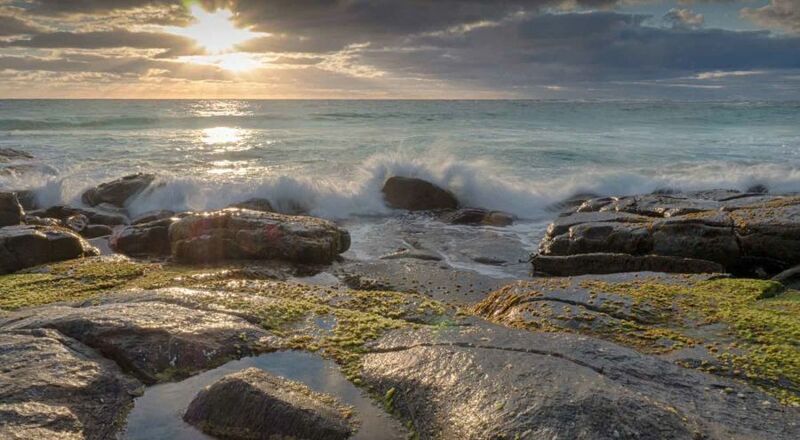 Also coastal granite formations called The Gap, Natural Bridge and Blowholes in the nearby Torndirrup National Park and the National Anzac Centre. The family were there for the launch of Field of Light: Avenue of Honour – the new solar art installation by Bruce Munro who created the Field of Light installation at Uluru. Check out more itineraries in Western Australia, and the Britz Frontier for your next campervan trip.